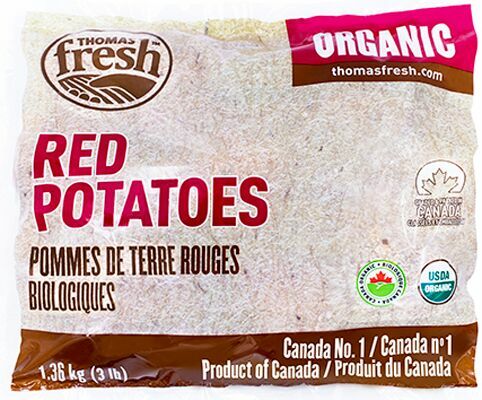 Thomas Fresh’s delicious organic red potatoes are grown locally within Canada. Mild and sweet flavour profile. Bright red colour, white flesh and delicate skin. 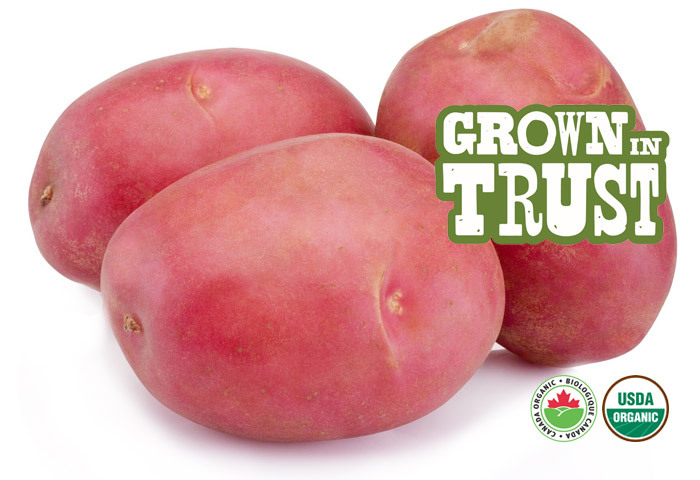 Great for salads, soups, and stews. Add eye-catching colour to your meal! 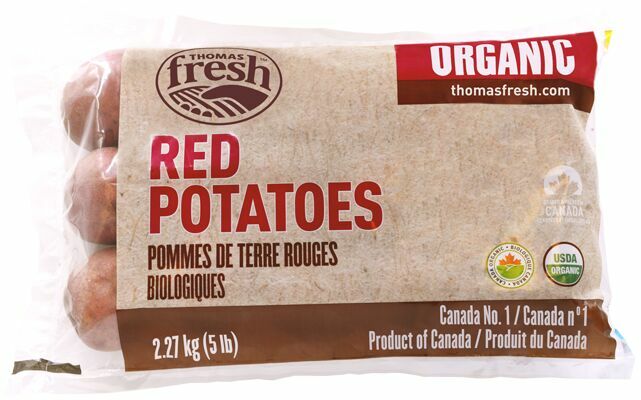 One red potato (4.9 oz) contains 10% of your daily dietary fibre.